TOUCH OF CREATION: PTI Blog Hop-- Touch of Gold!!! Today I'm joining in for the PTI Bloghop after a longtime! I used some paint on the PTI-Butterfly diecut. A simple Thank you card with few of my fave PTI stuff!!!! Love this sentiment font...all time favorite ♥♥♥!! Embellished the card with few Sequins and tiny rhinestones. Stamps, dies and cardstock are from Papertrey Ink. 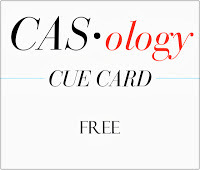 This card is also for the CASology Challenge...this week's theme is FREE. This is STUNNING, my friend!! Love the touch of gold on the butterfly and the background is perfect backgdrop for it! You rock this one, Piali! Wow. You and I sure do think alike...butterflies and woodgrain look so nice, especially with the cue word Free! LOVE it - it looks like it's been dipped in gold - perfect combination of the two challenges! Thanks so much for playing along with us at CASology this week! Gorgeous! Love the two-toned butterfly especially. Lovely! Looks so goldishly delicious! Oh wow. Gorgeous use of gold Piali! Gorgeous! Such a fantastic use of gold! Oh that gold wood grain! Just gorgeous. Piali, what a stunning card! The embossed gold woodgrain and (half) butterfly are just so rich! Thanks for joining us at CASology ths week!